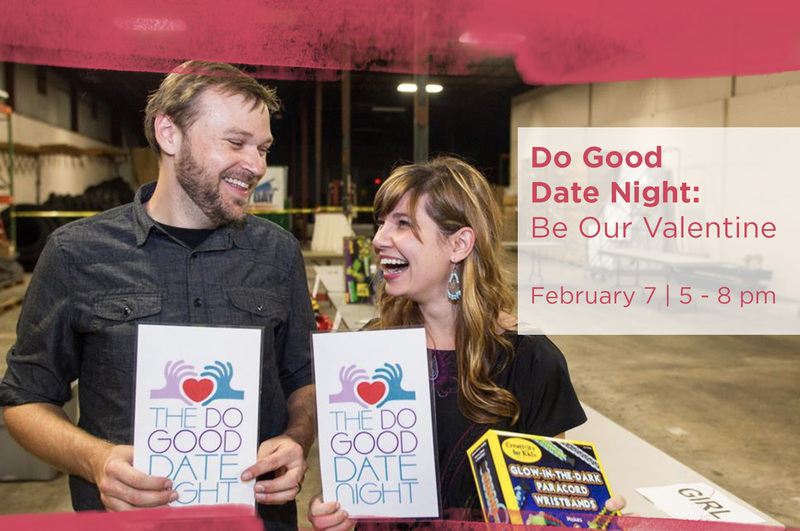 Join us for Do Good Date Night: Be Our Valentine on February 7. This event includes an evening of food, fun, and volunteering. Join us for dinner with your date, or bring your friends along for an experience from the heart with a night spent giving back. Tickets include dinner catered from Sahm's and will include an option of prime rib or tomato & mozzarella stuffed chicken, spring mix bruschetta salad, roasted red potatoes, steamed green beans, and rolls.